Conservatives may have elected a former reality television star to the Oval Office, but the people of New York have hired a future reality television star to Congress. Politics, and politicians for that matter, are keen creatures when it comes to the public eye – and even freshmen in Congress seem to catch on quick to this. Much the DC hysteria is nothing more than a game of optics. After all, should you find yourself on Capitol Hill, you need to keep your constituents happy in order to remain on the gravy train of “public servitude”. Fall out of favor? You’ll be back bartending at Applebee’s in a no time. 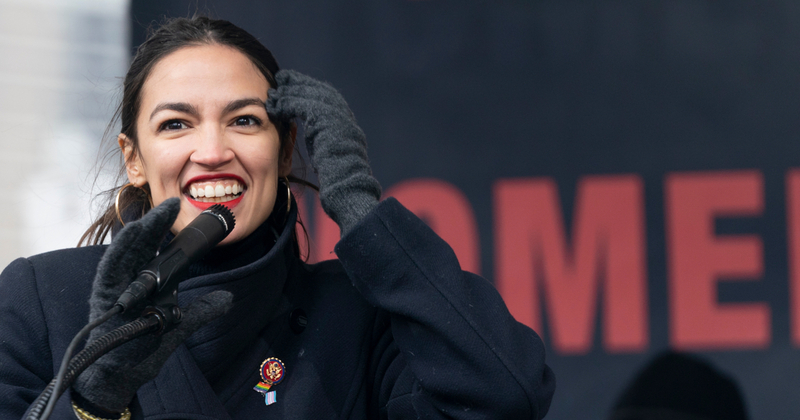 This could be the reason why freshman Congressman Alexandria Ocasio-Cortez has been so keen on keeping her name on the tips of the media’s tongue. She has a responsibility to her followers to be a rabble rouser, and a square peg for the round hole that paints the government as. So, naturally, when retail giant Amazon mentioned AOC in their departure from New York City letter, the young politician was quick to latch onto that attention and perpetuate the petty squabble for the media’s sake. Amazon’s David Clark, senior vice president of worldwide operations, made the invitation on Twitter after Ocasio-Cortez accused the e-commerce giant of creating “dehumanizing conditions” for its employees. “Is that culture of ‘strict performance’ why Amazon workers have to urinate in bottles & work while on food stamps to meet ‘targets’? ‘Performance’ shouldn’t come at the cost of dehumanizing conditions. That’s why we got rid of sweatshops,” she wrote.